Air-Pot, the revolution of the pot ! Air-Pot what is it ? If you choose to use Air Pot, you decide to revolutionize your process of cultivation, and in the right direction ! 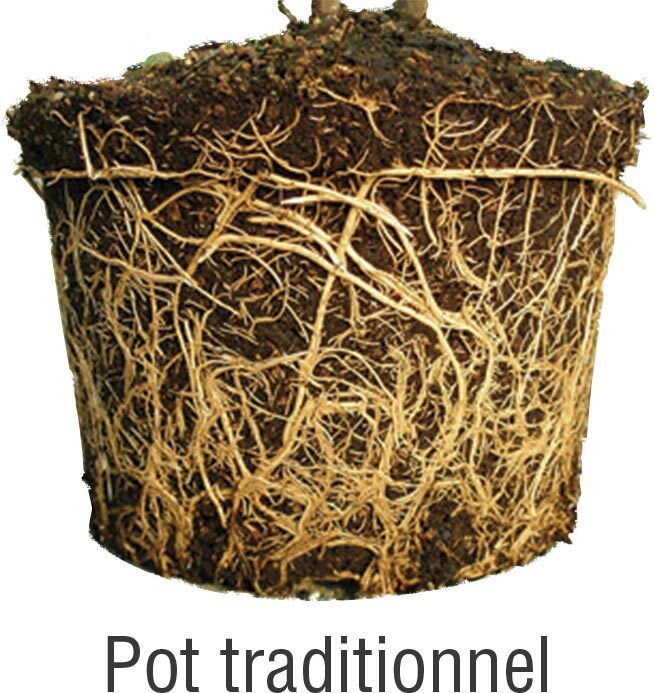 The difference with a traditional pot is very significant : the system Air Pot will allow your plants to develop a mass of fibrous roots and good health. This will allow your plant ofabsorb nutrients and water more easily, leading to a growth really fast. The Air Pots are of circular shape, they are a wall perforated with cones that are closed to the inside and the cones open to the outside. There are no flat surfaces inside the container allowing the roots to not to warp and to begin a process of chignonage : that is to say that the roots do not rot and do not tangle. The cones of the inner channel the roots and conducted to the cones open from the outside. Coming towards the outside the high density of the air dehydrates the spikes and the " cup ". 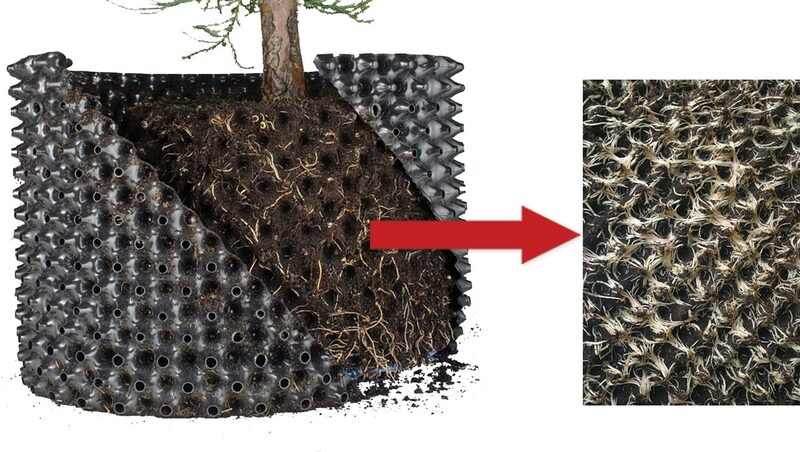 This process of size by the air allows the plant to form significantly more roots. The container Air Pot is a part of your culture system, to get the full benefits it will also need to choose the medium of culture and put in place a system of adequate watering. The plants are more healthy. 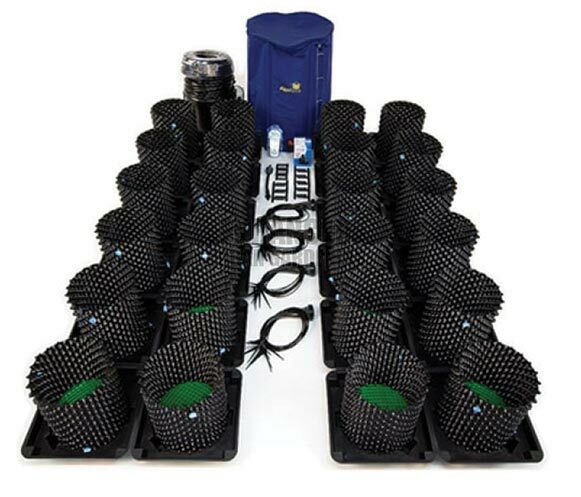 The root growth offered by Air Pot is exceptional. Nutrients are better absorbed by the plant and its roots. The growth of your plant will be more quick to access to a high performance. The plants are more resistant to certain diseases which enables a lesser use of pesticides. The use of Air-Pot requires rempotages less frequent, and the potting itself is easy. The cleaning of the pots is very simple and convenient. As we have explained, in order to have results that are optimum with systems capacity Air Pot, it is imperative to water your plants in ways strict. The correct method is the drip, is a method of the simplest and highly appreciated by the beginner in the Indoor growing. The plant will be irrigated by drip. Once drained by the substrate, the solution falls back into the tank, and so on. 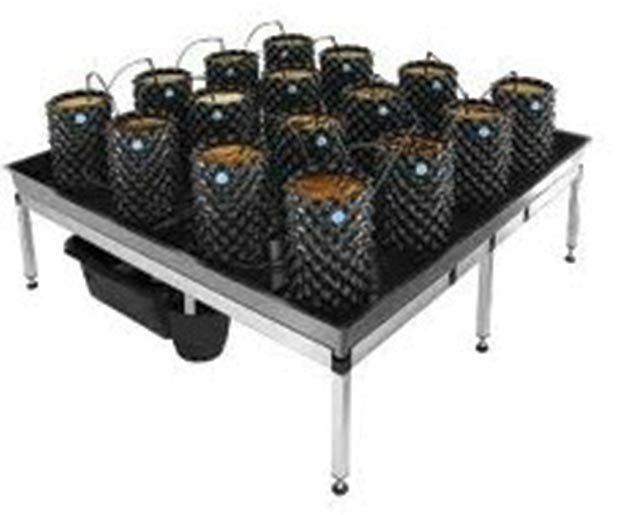 There are systems involving multiple pots for a single tank, this is the case, for example, the Wilma of Nutriculture , or the range IWS.